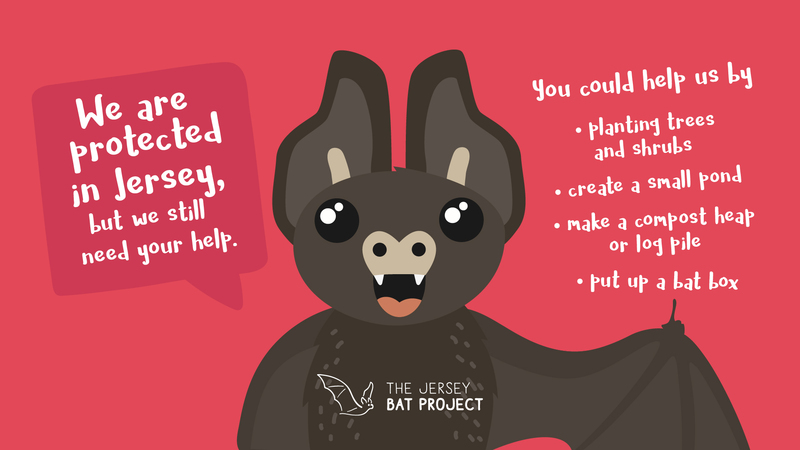 Jersey National Park is home to many of our local bats and a new awareness campaign to educate children and the general public about the importance of these protected species, The Jersey Bat Project, was launched on Monday 15th May. 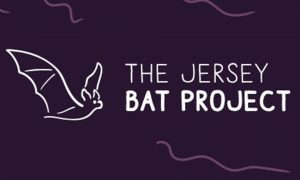 The Jersey Bat Project | Bat Facts 2D Animation from Freedom Media on Vimeo. Every Primary School in the island was given two bat boxes to put up in their grounds as part of the launch week. These have been made by Jersey Prison and by children at Les Landes School. 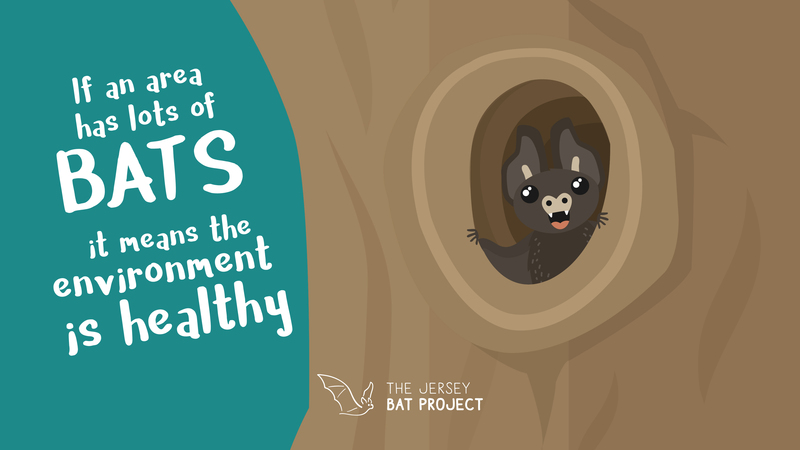 A special animation of 10 important bat facts will be released on social media and this short film will be made available for schools to use as part of a lesson plan. 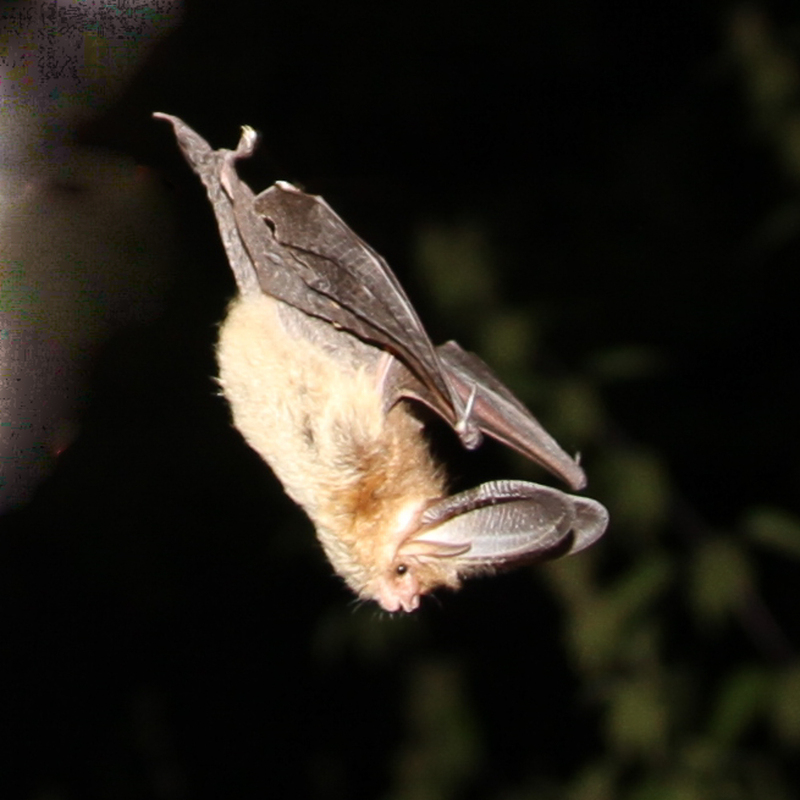 Jersey National Park, Jersey Bat Group, Eco active, Department of the Environment, Channel Islands Coop and the States of Jersey Prison Joinery Workshop have all contributed to The Jersey Bat Project. Bat moonlight walk for the Scouts, at Val de la Mare, led by the Jersey Bat Group. Jim Hopley, Honorary Chairman, Jersey National Park commented: “Jersey National Park is delighted to work with eco-active and Jersey Bat Group with fantastic support from the Co-op and significant help from the States of Jersey Prison Joinery Workshop to bring the story of Jersey’s 15 bat species to children’s attention, explaining to them how important they are to the island. If we can also ignite their imagination in respect of the opportunities for education the National Park offers them then this is a bonus”. 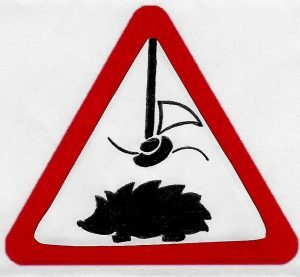 Check before you strim – there may be hedgehogs there! Always check before you strim. there might be hedgehogs or other wildlife nesting where you are working. We see lots of nasty injuries caused by cutting equipment. Every year many hedgehogs are put to sleep because their wounds are too severe to be treated. Hedgehogs will not run away when they hear your cutting or mowing machine, their instinct is to roll up more tightly and stay put, so they often get sliced top and bottom. If there is a mother with babies she will not abandon them but will protect them with her body, getting killed in the process. 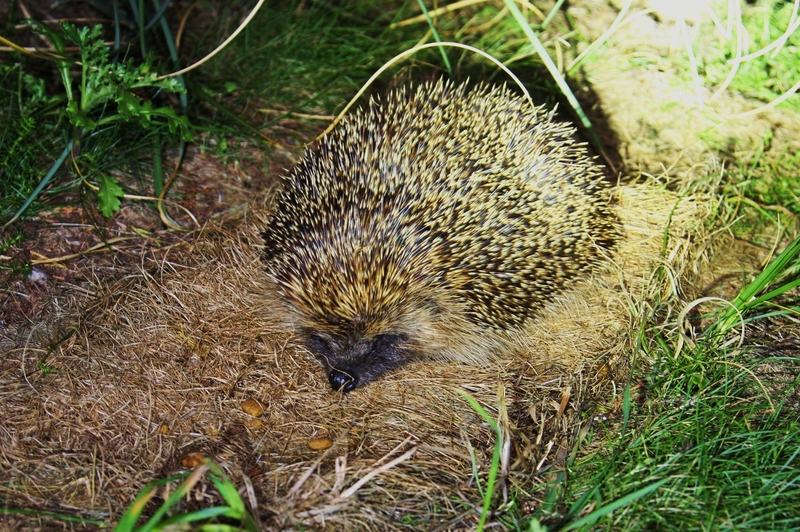 Our experience is with hedgehogs, but there will be other creatures nesting under the cover of vegetation you will be cutting down, which also need care and protection. We are asking you to check before you cut, please watch out with piles of sticks, bonfire heaps and well established brambles – if the area is very overgrown – please cut to knee height first, then check for wildlife before you cut lower if required. Should you discover an injured hedgehog, please pick it up with gloves, put it in a bucket/dustbin/box and ring the Jersey Hedgehog Group on 01534 734340 for immediate help or take it to a vet. If you find other injured wildlife please phone the JSPCA on 01534 724331 or your vet – you should not be charged for wildlife. 1. The best thing is to leave it alone, cover it over with the material you have cut away and leave the area. 2. 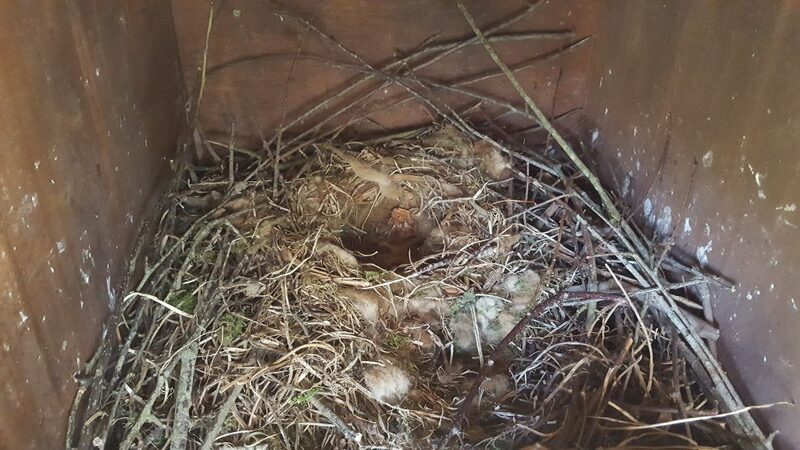 If this is not possible because work has to continue, cover the whole nest with a dustbin/bucket with a stone on top, making sure Mum doesn’t escape and ring 01534 734340 for immediate help. 3. 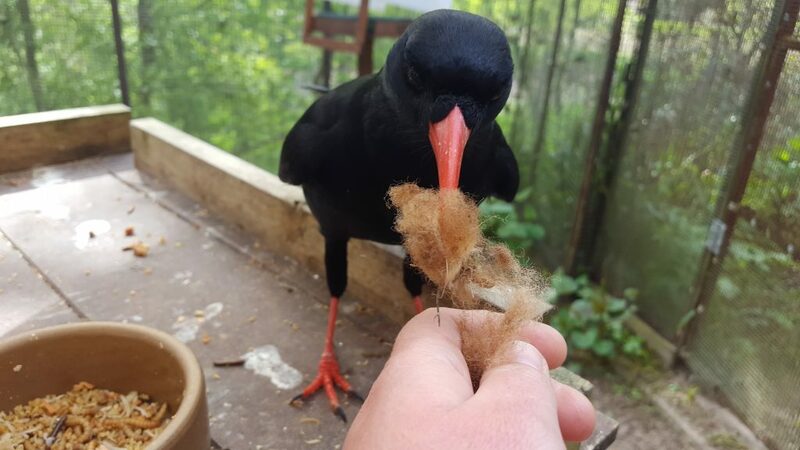 If work has to continue at once, make sure you are wearing gloves, gently pick Mum up first and place her in a dustbin/bucket/box, then pick up all the babies (they usually have about five but there can be more) and cover them all with as much original nest material as you can and ring 01534 734340 for immediate help. If you touch the young with your bare hands, your human smell can make the mother reject her babies. 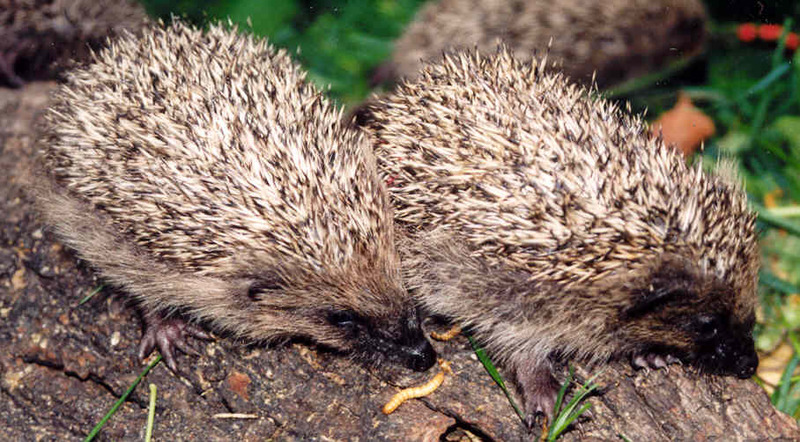 If you discover a nest of another wildlife species please phone the JSPCA for advice on 01534 724331. For the last task before our well-earned summer break, join the National Trust Rangers at Hamptonne meadow on to undertake wet meadow restoration management. The flora in the meadow has responded well to management since the Trust acquired it in 2011. That said, hemlock water dropwort is still abundant. This native plant is invasive in many of Jersey’s wet meadows, especially those that have suffered from a lack of management in the past. This task will entail walking through the meadow and selectively cutting and removing hemlock water dropwort in order to speed up the restoration of the meadow to a favourable condition. Tools needed Tools will be provided but if you have a sickle/scythe it would be helpful if you could bring it along with you. Clothing needed. A note of caution, hemlock water dropwort is the most toxic plant in Britain so please ensure that you wear long-sleeved clothing regardless of the weather. The roots are the most toxic part of the plant so we will only be handling the stems and leaves. We will provide protective gloves as well as hand washing facilities and ask that all attendees kindly use them. Wellies are very highly advisable, as we are working in a wet meadow! Work will finish by 12:30 when cake and refreshments will be served by our super talented baker Kim the Kake. Thank you to all of you for your hard work this season. 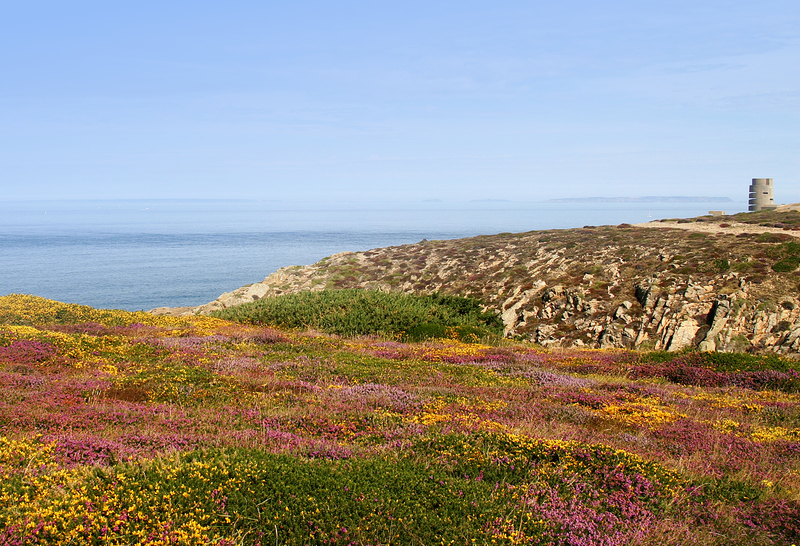 Your enthusiasm and commitment makes a huge difference to Jersey’s wild areas, we are really appreciative of your efforts, no matter how much or little you are able to contribute. April started on a tragic low note progressing, the only way it could, into a steady crescendo to a high and hopeful cadence. In fact, April started as it always does with April Fool’s Day. So when an email entitled ‘chough vs. peregrine’ was opened on the 2nd, wishful thinking wanted to dismiss this as a delayed prank. The email was from Mick Dryden and Romano da Costa, two of Jersey’s top birders, who had been out at Sorel Point doing a migration count. 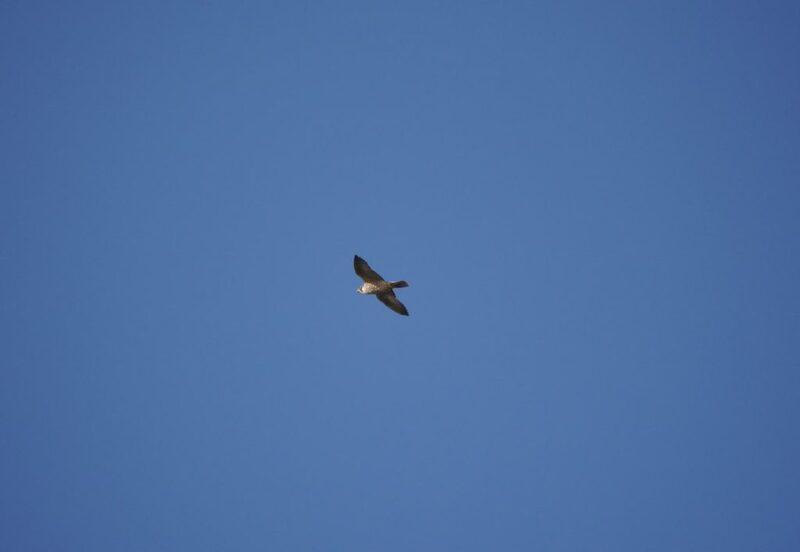 For legal reasons we would like to state that the peregrine flying over Sorel in this photo is innocent until proven guilty. Photo by Liz Corry. 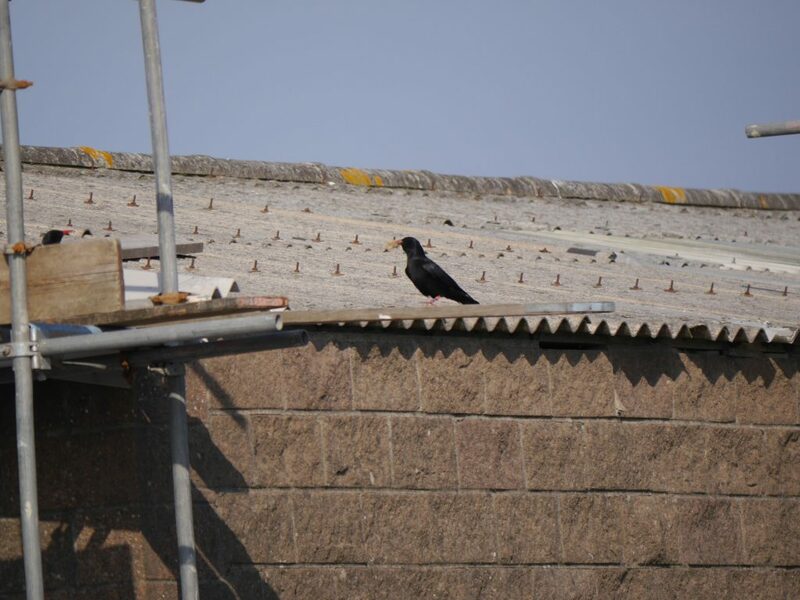 The email was read at home after spending the day out at Sorel monitoring seemingly very content choughs. 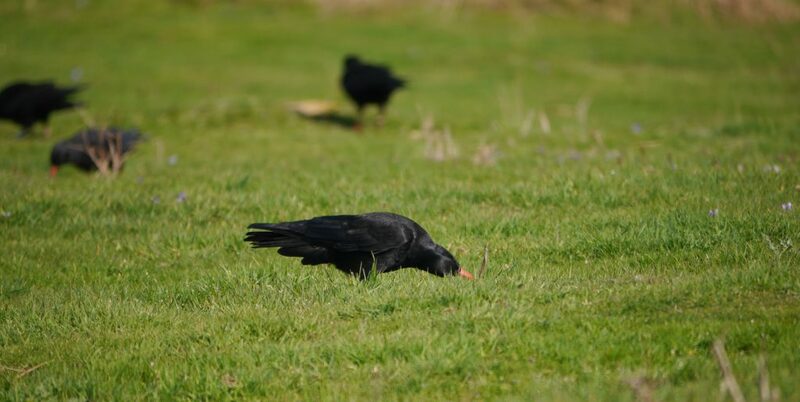 In fact, it was the first day the choughs had been seen carrying nesting material. Not only that, but the first bird spotted carrying material was Pyrrho, a female of only two years of age. A potential new breeder! Added excitement had come when a large group of choughs spent the day hanging out around the section of cliffs where we fitted a nest-box in 2014. Birds were seen to come and go from the box. Could one of them be adding nesting material? The acrobatic aerial displays they were putting on, launching themselves off the cliff face were a joy to watch. 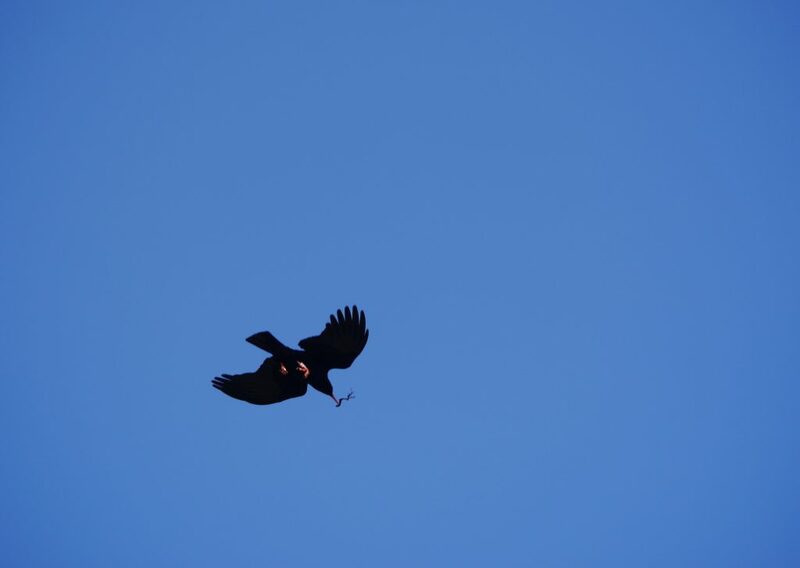 Acrobatic choughs at Sorel. Photo by Liz Corry. To get home and find out that one of them had most likely been skewered by talons, plucked apart, and unceremoniously dropped in the sea, only to be further shredded into oblivion, was a little disorientating to say the least. 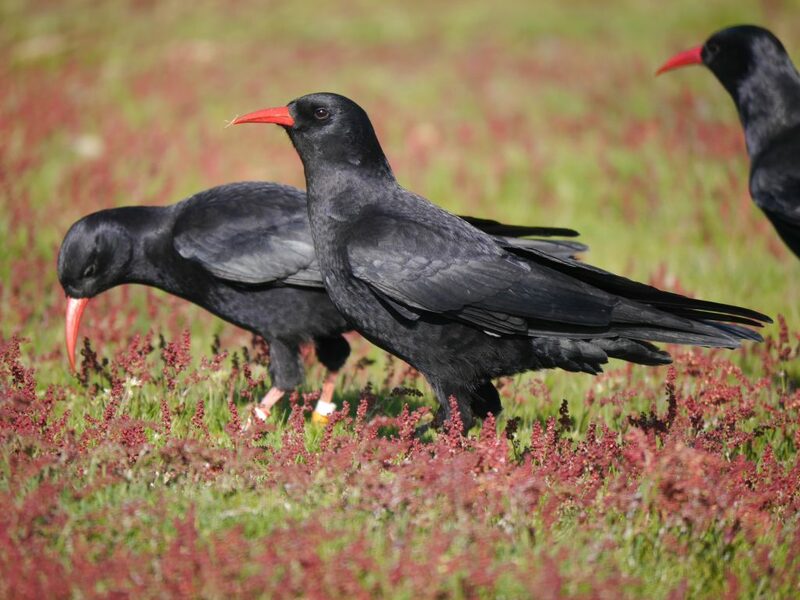 The choughs have started changing their daily patterns most likely as a result of the breeding season. Pairs have been spending less time near the aviary, some turning up late. In the case of Lee and Caûvette, the notorious absentees, they did the opposite and started turning up for both morning and afternoon feeds. 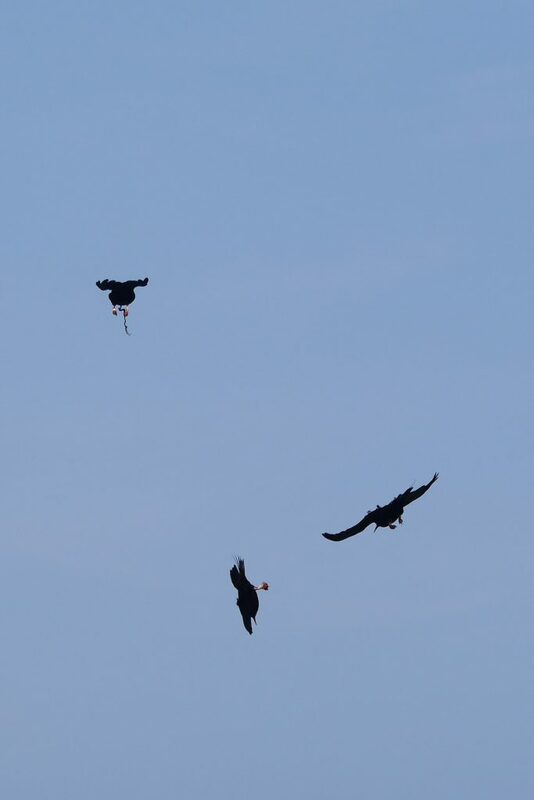 Lee and Caûvette (centre) have started returning for the supplemental feeds suggesting they might be nesting nearby. Photo by Liz Corry. Once the choughs had grabbed their free handouts they would swiftly return to their business of either nest-building and/or wild foraging. There has been an abundance of leatherjackets and other grubs in the fields this month keeping them fuelled for the day. It, therefore, didn’t raise alarm bells when only 32 of the 35 choughs were counted on the morning Mick described the attack. A leatherjacket larvae unearthed and being tenderised before adding to the chough menu of the day. Photo by Liz Corry. 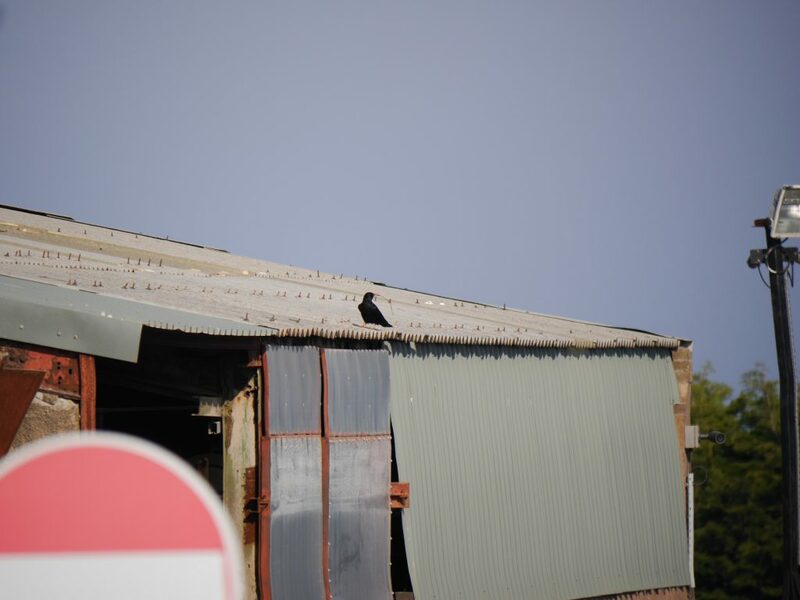 The following day was spent staking out Sorel ticking names off the chough register. 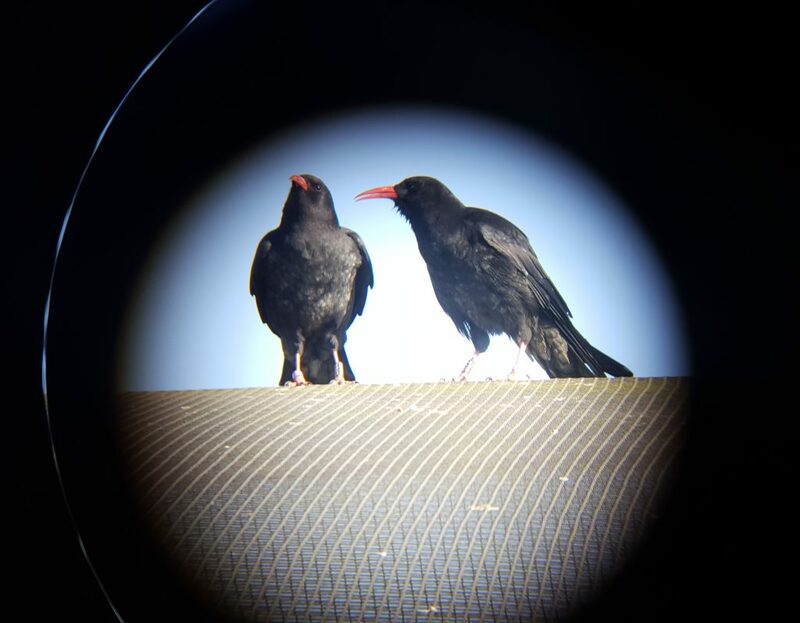 Mick’s description of a green ring turned out to be a red herring when, after a few hours, all the choughs sporting green rings were alive and well. This is included a breeding male, Pale Green, a wild-hatched chick, and hand-reared Bean. Never believe parents when they say they don’t have a favourite! 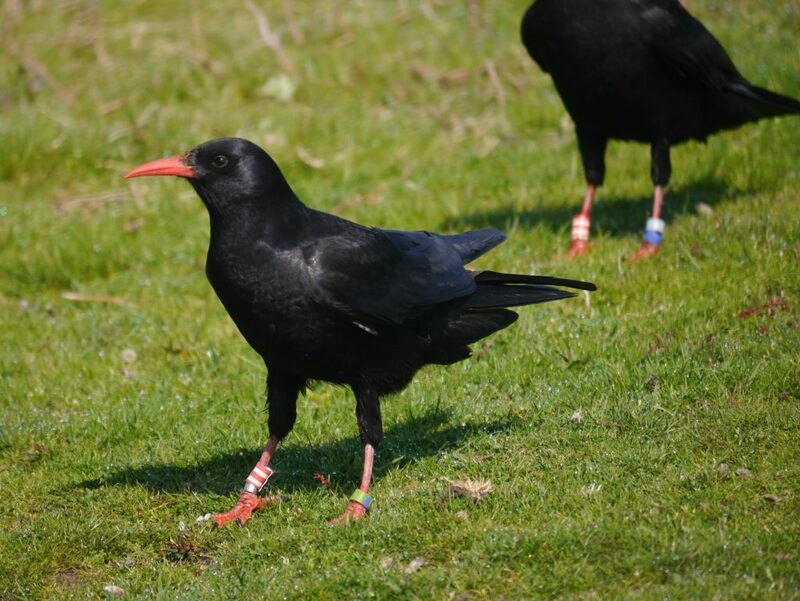 Ticking off the chough register each day isn’t easy with birds like Helier whose broken green ring has slipped over the blue one. Photo by Liz Corry. By the end of the day the identity of two birds still remained unconfirmed. Hayle and Yarila, both hatched at Paradise Park last year, and wearing almost identical leg rings. One blue and white striped. One black and white striped. Out in the field with the glare of the sun, the white-out of the fog (we had both), and the desperation in your mind, it is very difficult to determine the difference between the two rings. 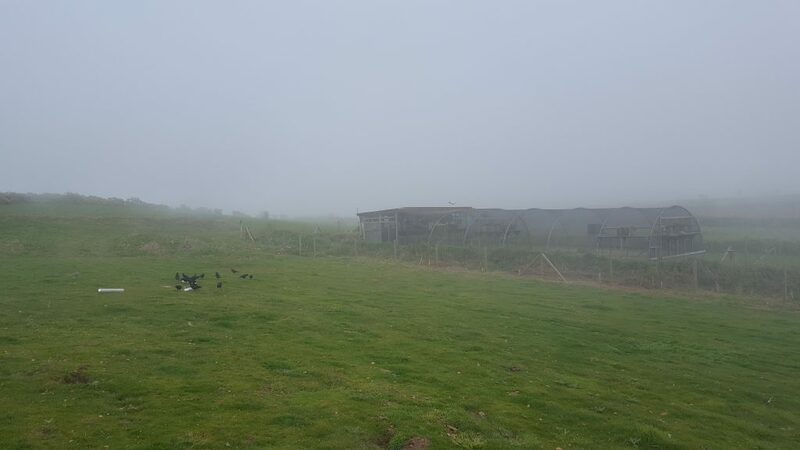 Attempts to get a clearer view of leg rings by feeding choughs outside of the aviary failed when the sea fog rolled in. Photo by Liz Corry. Even when Hayle’s radio transmitter was tracked down to the cliff face where the peregrine attack occurred your mind wants to add the element of doubt. What if she just shed the transmitter there and is merrily foraging in the fields? Sea fog and sheer cliffs prevented the recovery of the transmitter. 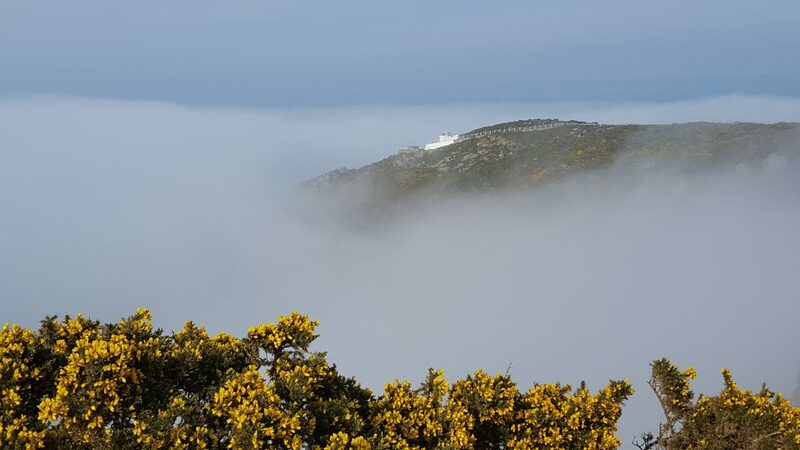 Somewhere beyond the gorse lies a cliff face and a lost radio transmitter. Photo by Liz Corry. Not that it would have told us anything other than Hayle was no longer attached to it. Three days later, with a total count of 34 birds, none of which wore a blue and white striped ring, we reluctantly concluded Hayle wasn’t attached to anything in this world. The chough group did not spend long mourning the loss of their friend. Priorities were focused around breeding and collecting nest-liner courtesy of the sheep. We were able to ascertain a few new potential breeding pairs thanks to this. We have also noticed a few unexpected couplings based on mutual preening and feeding behaviour. The most intriguing of which is a new trio. Pyrrho has teamed up with one of last year’s wild-hatched chicks. At only 11 months old (someone call Social Services) he would seem a bit young for Pyrrho. The young male is still very close to his sister and the three are often spotted flying to the quarry together. It would be unusual if this trio were to produce anything other than a nest this year. Wild-hatched siblings Pink-Orange (male) and Black-Orange (female) have teamed up with Pyrrho this breeding season. Photo by Liz Corry. We already have a trio of Dusty, the original wild-hatched chick, and two females Egg and Chickay. Both females have been building nests; however, Dusty pays more attention to Egg and we believe she has started incubating. Last year, when this trio formed, they did not get beyond the nest-building stage so Egg’s behaviour is very encouraging. Egg collecting nesting material from the quarry for her nest with Dusty. Photo by Liz Corry. Chickay, a hand-reared chick, collecting nesting material from the quarry. Photo by Liz Corry. These were not the only choughs to be busy nest building. We have seen five pairs visiting the sheep pens to collect wool. Not straight from the sheep’s backs I hasten to add. Choughs busy collecting wool to line their nests at Sorel. Photo by Liz Corry. 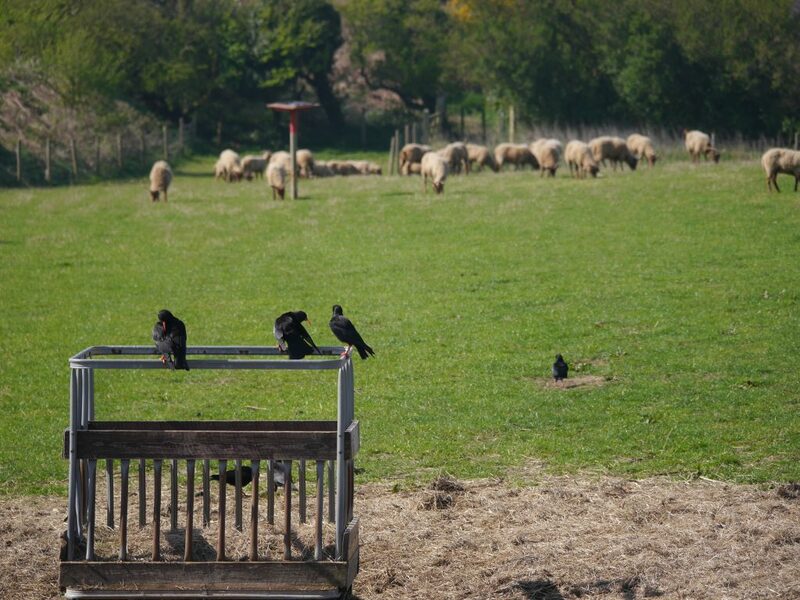 The choughs have been making the most of the sheep’s confinement to the aviary field this month. Photo by Liz Corry. We have struggled to assign each pair to a nest site. With so many choughs using the quarry now simply for recreation it is difficult to know who is who and what they are up to. Working with quarry staff, we believe we have double the number of nest sites compared to last year. A tell-tale clue as to where this pair has chosen to nest is in the fact that they are covered in quarry rock dust. Photo by Liz Corry. We started to notice behaviour in the last two week’s of April that suggested some of the females had started incubating. It has not been as clear-cut as in previous years making it trickier to predict hatch dates. Bets aside it is certain that May will be a productive month. Monthly faecal screenings showed the parasite count in the flock to be lower than last month. It would be a statistical miracle to assume that the entire flock was represented equally within a sample. However, taking into account fewer observations of sneezing birds it appears to be a fair reflection of the group’s general parasite loads. The reduction was possibly helped by the absence of Hayle who had been seen sneezing and wheezing a few days before she encountered the peregrine. 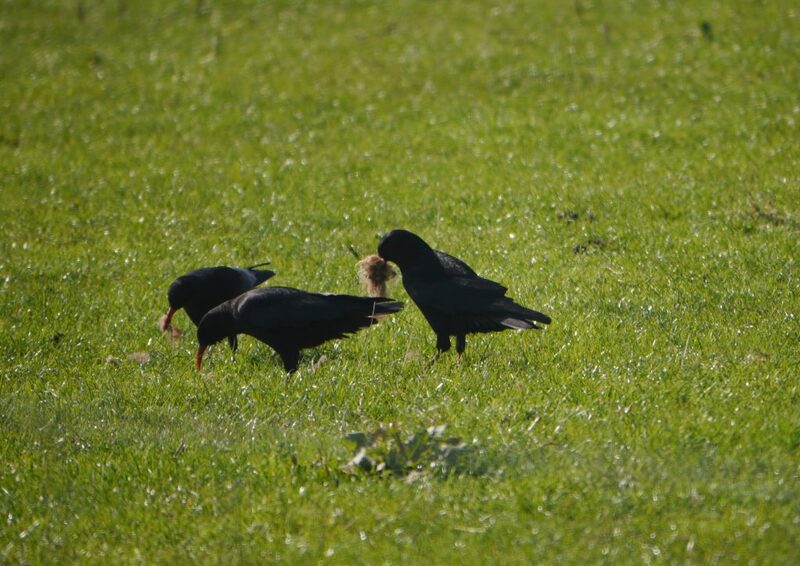 One of the wild-hatched choughs was seen to have something wrapped around her foot on 17th April. We monitored her closely and it soon became clear the offending material was not going to come off unaided. We are permitted to catch up and handle wild-hatched choughs for welfare reasons under our license granted by the States of Jersey. Therefore, to avoid any potential problems with blood circulation in the future, we caught her up and snipped the thread free. PP003 had to be caught up in the release aviary to remove tangled thread from her foot. Photo by Glyn Young. At the same time as attempting to catch this bird (it took several days) we noticed Bean had managed to wedge one of her digits up into her plastic rings. We had hoped that she might manage to wiggle it free or break the plastic since the rings are now quite old. She didn’t comply so she too was caught up. We had to be very careful with Bean and the rest of the group when it came to entrapment. Not for legal reasons. We did not want to inflict any unnecessary stress on any of the egg-laying females. We had suspected Bean could be one such female since her and her partner have collected nesting material. Once in the hand her brood patch was a big giveaway. 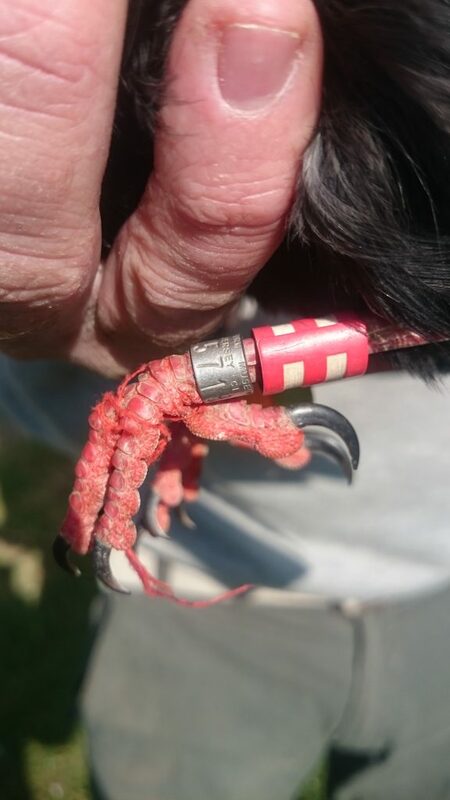 Her foot was quickly freed, replacement rings fitted, and she was allowed to return to her nest within minutes of being trapped in the aviary. Yarila preened out her broken tail feather this month complete with radio transmitter. Photo by Liz Corry. Yarila conveniently preened out her radio-transmitter on 24th April whilst sat on the aviary roof. At the start of the month one of her middle tail feathers was sticking up at a right angle to the other eleven. Obviously loose, but hanging on to something. In fact we noticed it the day after the peregrine incident. Coincidence? Looking at the recovered transmitter it is clear that the loose feather was still holding on by a thread to the base of the transmitter. 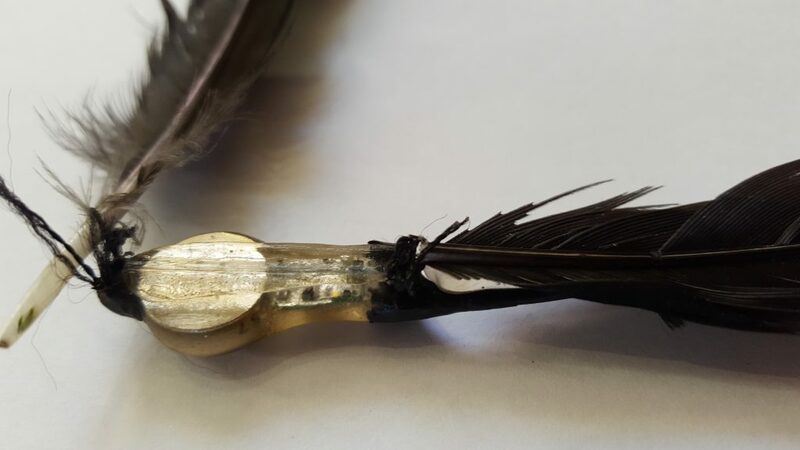 The other central tail feather, which gets glued to the transmitter, has snapped off and detached from the base of the transmitter hence the tag falling off. 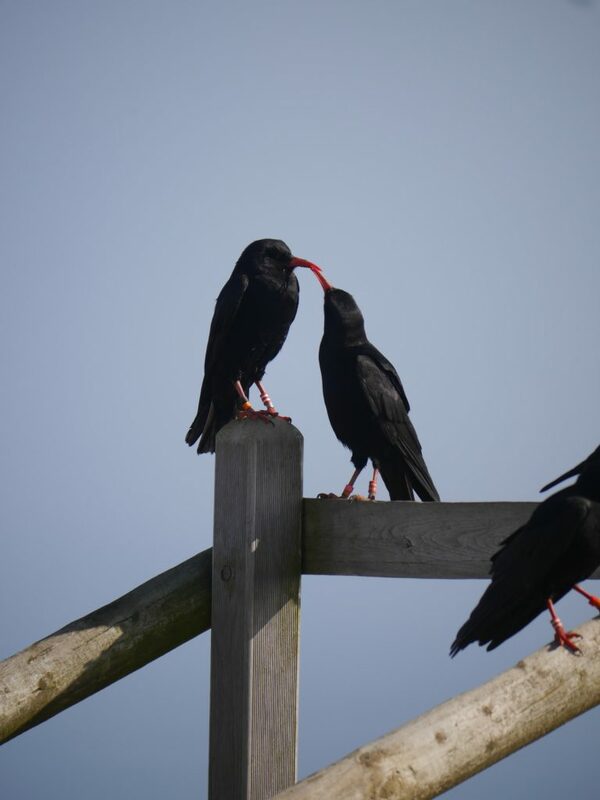 This is the first time we have seen this with our choughs. 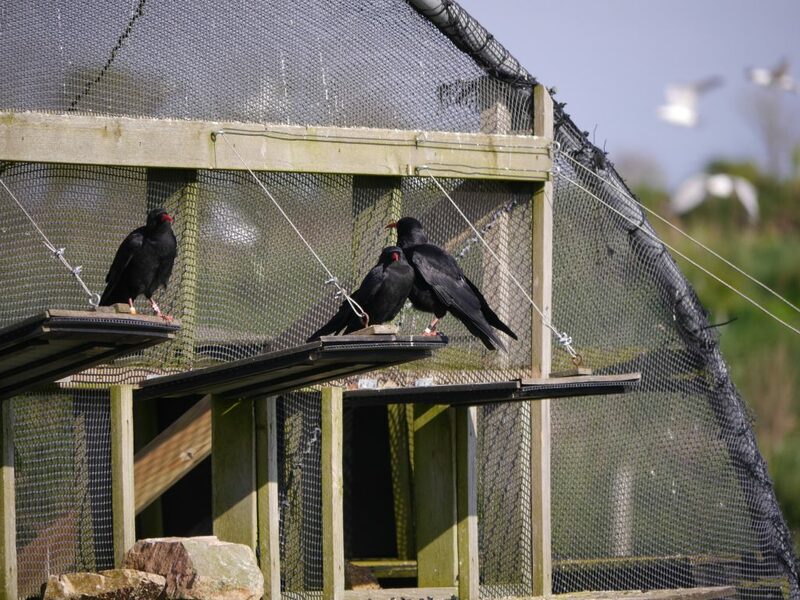 CI Fire & Security Ltd kindly installed a new wireless system at the chough breeding aviaries this month to allow staff to monitor all three nests. CI Fire & Security Ltd have previously installed cameras at Durrell in the bear and orang enclosures. Whilst seemingly not as challenging as designing an orang-utan-proof camera, the chough-cams proved trickier than expected. Two of the three cameras were up and running in March. The third, in Issy and Tristan’s aviary where we hope the pair will parent rear took a bit longer, but finally went online on 13th April. At which point we discovered she was sitting on three eggs! Keepers had found an egg on the floor near to the nest-box earlier in the week. We don’t know why it was on the floor. We do know that she has not laid anymore eggs since the day the camera went online. An unusually low clutch number for Issy, but at least she has eggs and is looking after them. Now we have the nest-camera we can closely monitor the progress of these eggs, any subsequent chicks and support the parents along the way if needed. We expect the eggs to hatch at the start of May with a view to release healthy fledged chicks in the summer. Simon Inman’s fundraising last month has managed to raise £140.73. This has help pay for the new wireless nest-camera in Issy and Tristan‘s aviary. Simon’s sponsored skydive is in summer so there is still time to donate. It is a little harder to tell what Gwinny and Lucifer are up to thanks to Gwinny inadvertently repositioning the camera. For our tame bird Gianna she has to sit and wait for the likes of Gwinny to start egg-laying. We can then give Gianna a dummy egg to stimulate her to start laying her own (infertile) eggs. When the time is right we can swap eggs or chicks for foster rearing purposes. Timing is partly influenced by the behaviour of the pairs especially Lucifer who has a tendency to dislike eggs appearing in his nest box. We’re not exactly sure what he expects to use the nest for. Gianna taking nesting material for her foster nest. Photo by Liz Corry. Gianna completed her nest and is now waiting for the cue from keepers to start laying eggs. Photo by Liz Corry.